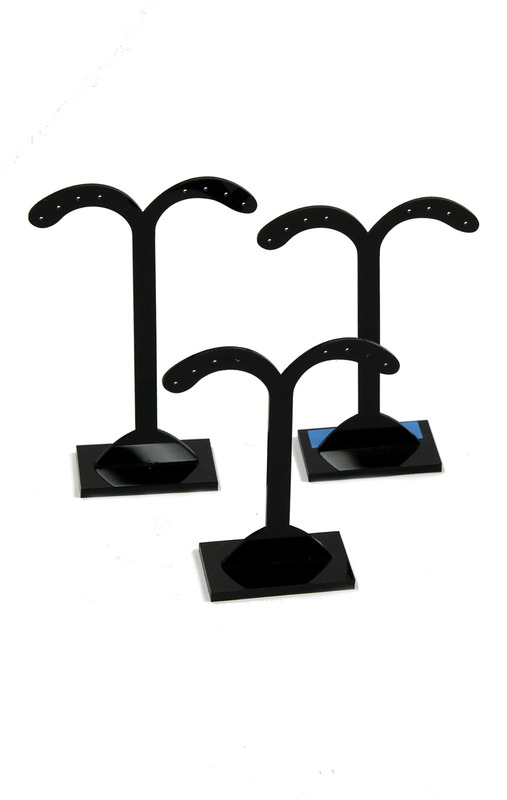 A great set of three acrylic earrings displays tree stands will showcase any shop window or counter, each display tree is the same as the last but all three have different heights. 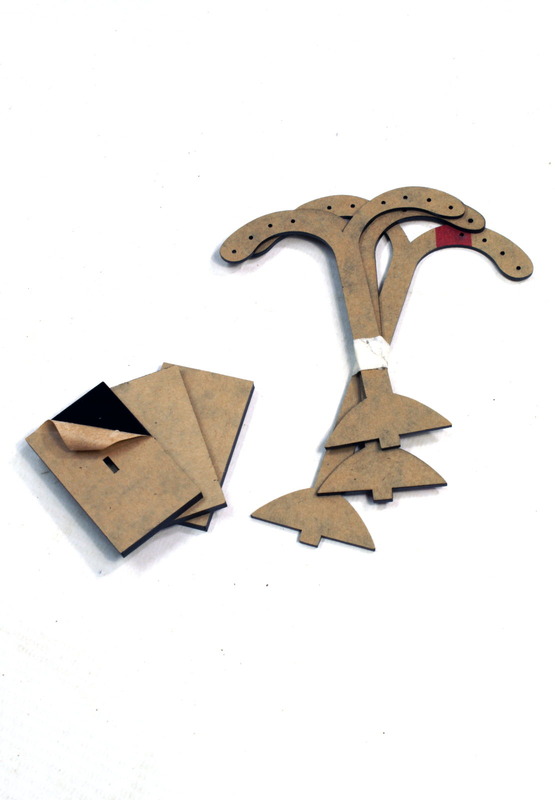 Each display tree will hold 4 pair of earrings, either studs or drop earrings making a total of 12 pair of earring per set. Please note: There is a protective cover on the acrylic which must be removed before fitting stand to the base. See Photos above.